Large cookies. Rustic pastry. Flat cake. Pizza pie. Can you picture it? Using these descriptions, can you picture a galette? Well, yes, you did have the advantage of that pretty picture that intrigued you enough to be reading my post but aren’t those some pretty awesome culinary adjectives? 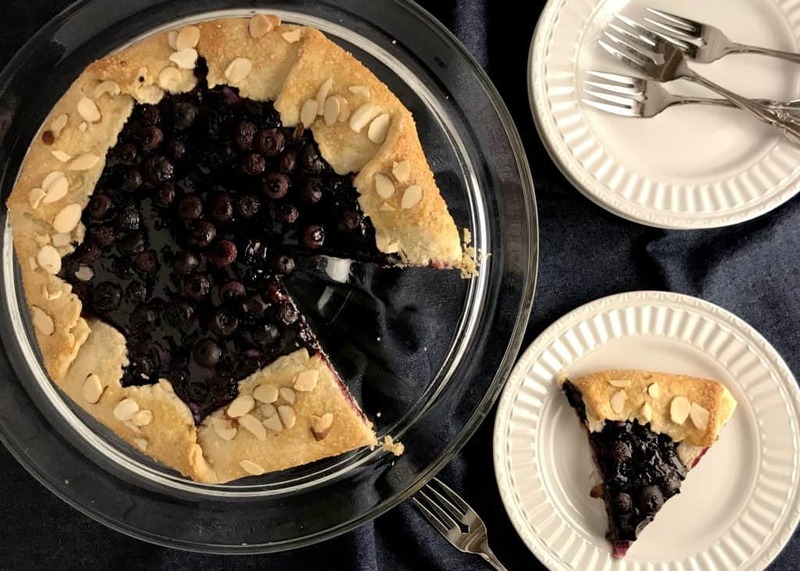 One look at that freeform, perfectly-imperfect Blueberry Lemon Ricotta Galette and it’s easy to be intrigued. Similar to a pastry (like pie crust) or more like a pancake or crepe, the base of a galette is subject to regional adaptations. Some are even made with potatoes. Fillings can be sweet (fruit and/or cream fillings) or savory (vegetables, herbs, cheeses and/or meats). The edge of the crust is often folded up and onto the filling to keep the filling contained and for convenience of eating. The fact that it looks stunning doesn’t hurt either! For anyone who has ever hesitated to make a pie from scratch, this is the place to start. Store-bought crust is fine. Sometimes it is a good idea to simplify certain steps in a process to gain experience which will, in turn, encourage more confidence. It will be delicious! However, making pie crust from scratch is one of my favorite things to do and I credit that to the recipe I use (thank God for church cookbooks). 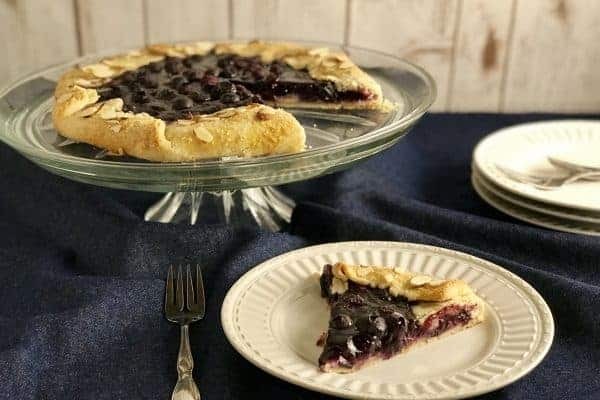 It’s called Never Fail Pie Crust for a reason and this link includes a video of the rolling process and a trick on how to transfer the crust to the plate. One batch will make 3 single crusts which can be made ahead and frozen. A galette simplifies the pie-making process by using a cookie sheet in place of a pie plate. Once the crust is rolled out, it only needs to be transferred to, and laid flat on, the cookie sheet … no centering the crust over the plate … no crimping edges. It is a perfect way to become comfortable rolling out and handling pie crust. Make your own filling. This is where the homemade factor is really noticeable. It is not a difficult process and the smell of the fruit simmering is worth every minute! Also, the filling can be made a day or two in advance. If you still need convincing, the galette most likely will not hold all of the filling which means … LEFTOVERS! 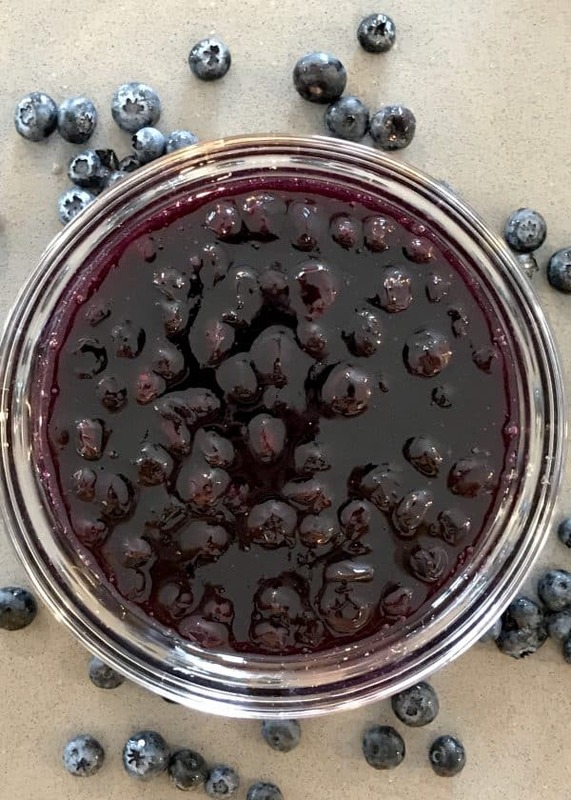 Just imagine the warm blueberries spread over pancakes or waffles or stirred into oatmeal. Even cold, it can be mixed into yogurt or added to a smoothie! 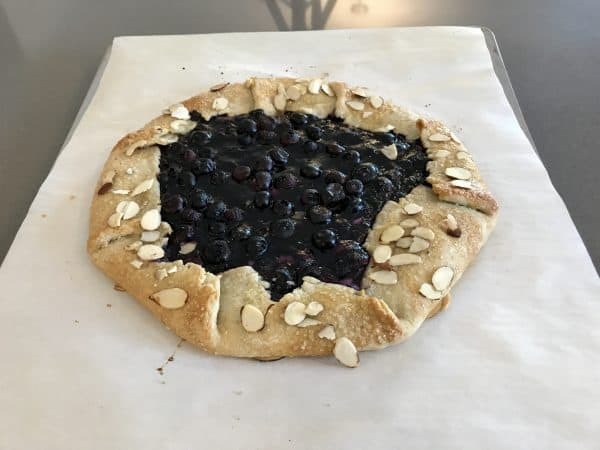 This rustic pie, or galette, is filled with homemade blueberry-lemon filling and ricotta cheese sweetened with honey. Get the recipe and tips for making this perfectly-imperfect dessert! In a medium saucepan, combine blueberries, sugar and 1/4 cup of water. Bring to a simmer over medium-low heat, stirring frequently. 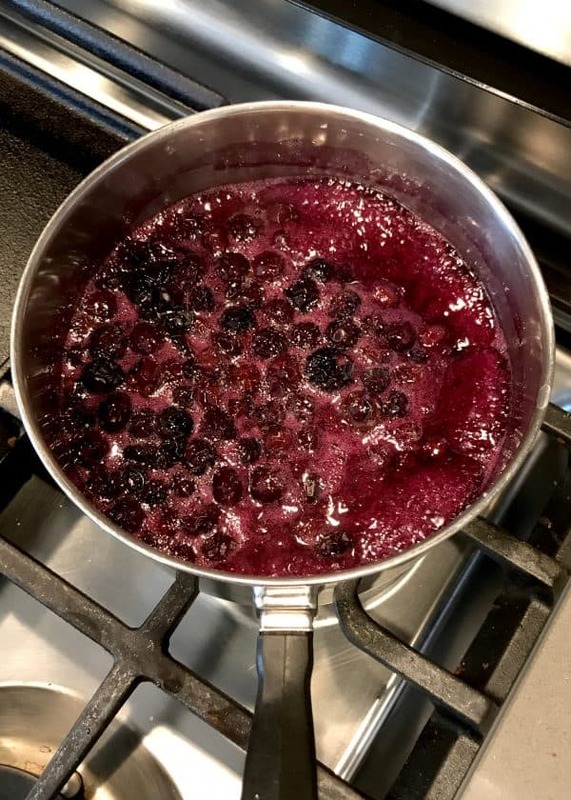 Simmer until blueberries pop or burst easily with light pressure from the back of a spoon (5-10 minutes). Combine corn starch with remaining 1/4 cup of water. When most of the blueberries have burst, drizzle the corn starch and water mixture over the syrup, stirring constantly. Continue to simmer until filling thickens. The consistency should be thicker than maple syrup but not as thick as a fruit jam. Add half of the lemon zest, half of the salt and the almond extract (if using) to the filling and stir to combine. Remove from heat and allow to cool completely (2-3 hours or overnight in the refrigerator). Combine ricotta cheese, honey, remaining 1/4 teaspoon salt and 2 tablespoons of lemon juice. Set aside. Roll out pie crust into a 12" circle on a floured surface. Transfer crust to a cookie sheet that has been lined with parchment paper. Sprinkle a few of the almonds and the remaining lemon zest around the inner 9" circle of the crust (staying away from the outer edges). Drop the ricotta mixture by spoonfuls around the inner circle and gently spread to cover, leaving the outer 2"-3" of crust bare. See video in text above. Spread a thick layer of blueberry filling over the top of the ricotta mixture. Any remaining filling can be used as a topping for pancakes or waffles or stirred into oatmeal or yogurt. 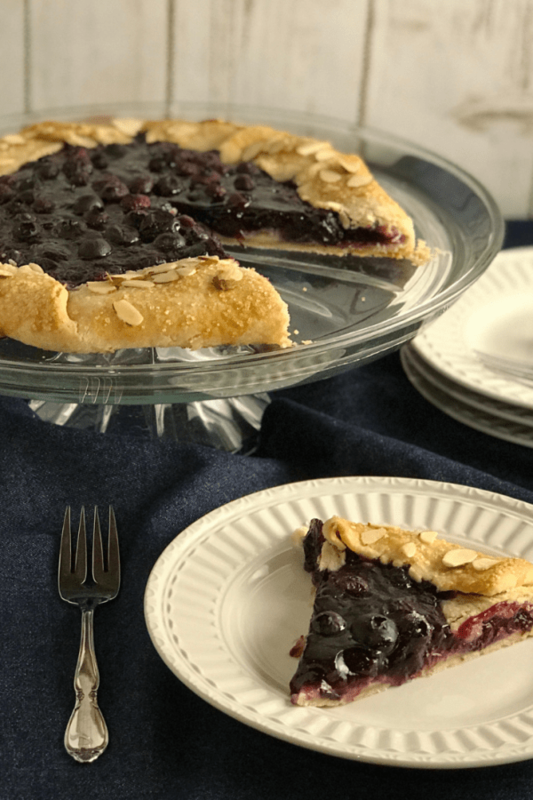 Gently lift an outside section of the crust and fold it over onto the blueberry filling. Working around the crust, continue to make folds that slightly overlap the previous fold until filling is enclosed. Gently press on the folds to "seal". Whisk together the lightly beaten egg and a tablespoon of water and brush a thin layer all around the crust. Sprinkle crust with almonds and sugar. Bake for 10 minutes. Reduce heat to 350° and bake for an additional 10 minutes, or until crust is golden brown and filling begins to bubble. Remove from oven and allow to cool for 30 minutes before serving. Pie Crust: It is perfectly fine to use a store-bought crust. It is absolutely perfect to use one of the crusts from my Never Fail Pie Crust post too!